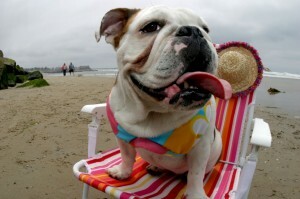 Galveston’s Pet Friendly Lodging Awaits: Book Now For Spring! Did you know that the next three months are some of the best times to visit Galveston? No packed beaches, no 95 degree weather…just open space, great cool air, fabulous restaurants and a beautiful ocean to soothe away your Houston stresses. Sand N Sea properties is proud of their extensive Pet Friendly vacation home inventory and they invite you to come for a respite from the Holiday bustle that has just ended or hurry and make your Spring Break reservations while there are great properties available. Your dog will love a good game of fetch in the ocean breeze and it’s just a short drive away…think about it!